4, the avant-garde avant-garde store featuring furniture, intriguing clothing and accessories, artistic books, striking artwork and unique lifestyle items. 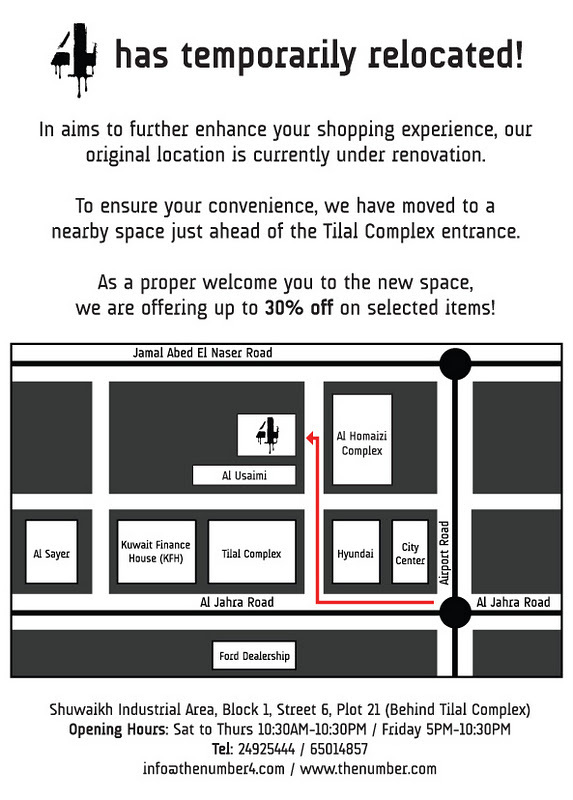 Known by many as one of Kuwait's most unique and interesting spaces; we have temporarily relocated, as our original location is being renovated. I think I might passby really soon and check it out, my winter closet needs major buys to be done quite soon !